Uggh! Another week and no blog post! You were excited six months ago, but now, there is no creative juices flowing, no blog topic ideas and you haven’t written on your blog for almost a month! Oh, and don’t forget that Facebook page you started last month hasn’t been updated since! If you’re a new to blogging or just have no new blog post ideas, there’s a little secret that big bloggers and other bloggers do to extend their content. It’s called repurposing content, and it’s a lifesaver for bloggers and mom bloggers alike! If you don’t know what this is, repurposing means using what you already have and turning that into a new type of content. Content comes in different ways online – from video to written to a social media posts and more. But, how can you turn your content into something else and what types of content is best to help you grow your blog? Let’s look at ten different ways you can use blog posts and other forms of content to help you extend the life of your brand and blog. Trying to grow your email list but stuck with what kind of freebie you can offer? I was right there with you not too long ago. I started Twins Mommy over a year ago and was working hard on growing my email list. But during the last quarter, I needed to think of something big to really make an impact for year two. During that time I created a series called, The 12 Days of Holiday Freebies. 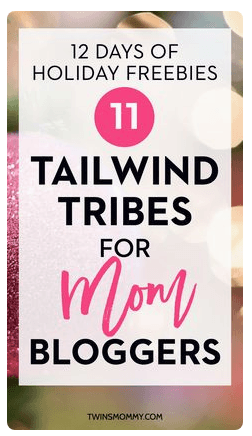 I rounded up the best Facebook groups or Tailwind Tribes or planners, eBooks and more for 12 days straight. 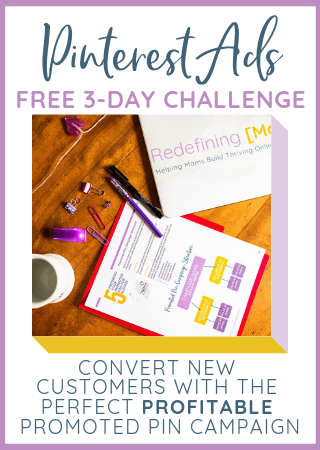 After I created that series, I thought I could repurpose all those freebies I included in 12 posts and create my incentive to grow my email list! 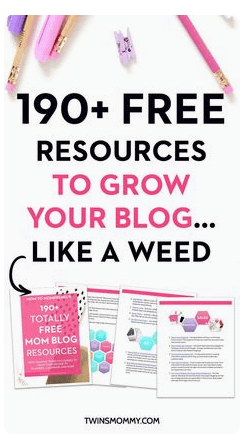 Not only did I consolidate 12 posts into one valuable guide, but I also included more freebies in this guide to make it over 190+ freebies to help you grow your blog. Go ahead and look at your older blog posts and see where you can add more tips or use the ideas in that post and create a valuable freebie. Interested in getting more readers and email subscribers for your blog? Why not try guest posting. Guest posting is publishing a post you wrote on someone else’s blog. You’ll reach a brand new audience, which can help you grow your traffic too! Your guest post shouldn’t be an exact copy of an old blog post of yours. Rather, look at a popular topic and suggest that to the blog owner. By using your old content to repurpose it into a guest post means others will recognize you as that blogger that blogs about Pinterest or branding tips or parenting hacks. 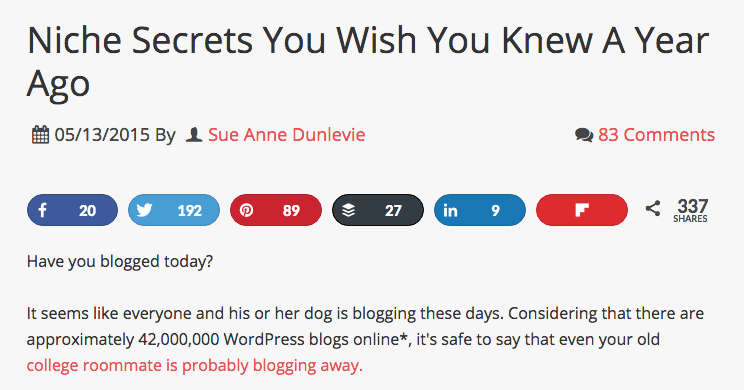 Sue Anne Dunlevie is known as the person for the best blogging tips online. 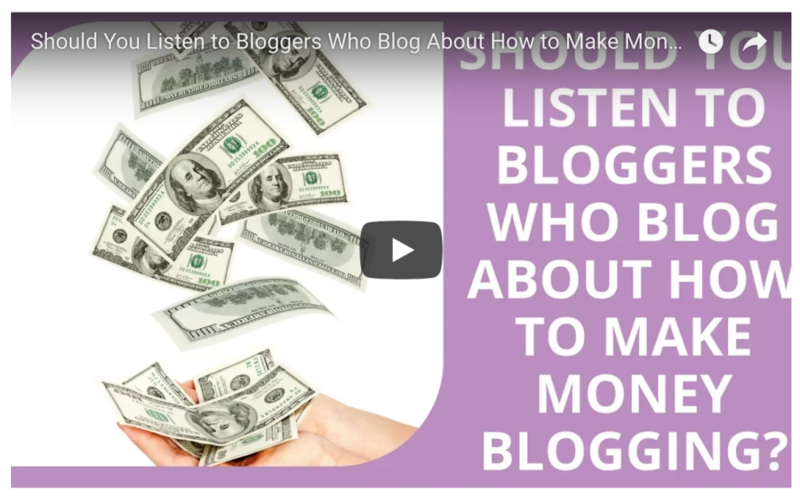 She blogs about how to be a successful blogger on her blog, Successful Blogging. 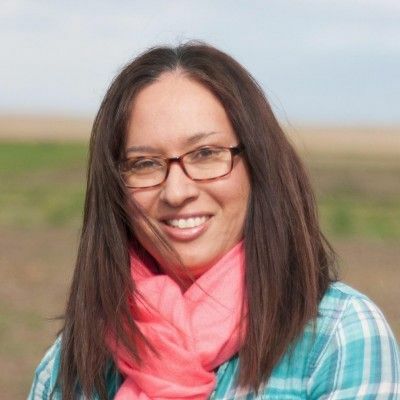 Her blog focuses on different topics like SEO, branding and finding your niche. She also guest posts and probably uses the same types of posts on her blog to guest post. 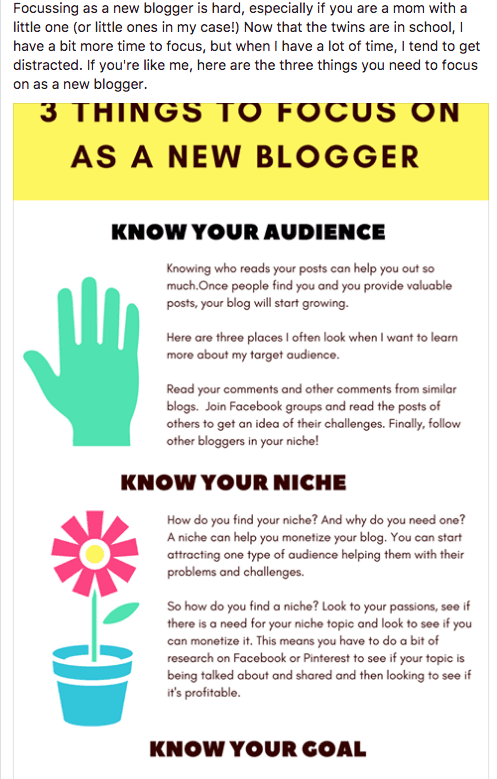 Here’s one about finding your niche on Basic Blogging Tips. 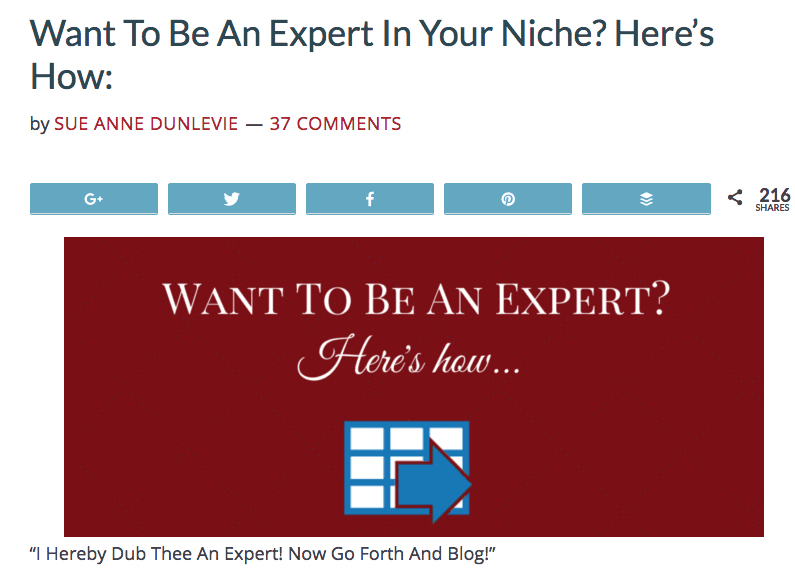 Sue talks about why bloggers need a niche and then how to find the right niche for you. If guest posting is part of your strategy to get your blog noticed, consider using older blog posts and other blog post ideas to generate a valuable guest post for a new set of readers. Do you have an email list yet? If you do, then you can use parts of your email as a social media posting. Coming up with content for your blog, email and social media posting can become easy if you repurpose them all around. For example, if your latest email that you sent out to your subscribers was about the challenges of starting a business with your blog, your social media posting can mirror that. You can search for quotes from people about being successful and then make a social media graphic in Canva. Use a few sentences from your email as the post and attach the graphic you created. You’ll get a bigger reach on Facebook when you have native posts without any links and by using images. The use of video is rising, and that means it’s quickly becoming a regular medium for consuming content. And for many of us, creating a video is not on our to-do list. That was me for a long time. I realized though, that to help my audience and grow my brand, I needed to be on video. Facebook Live is the perfect medium to do just that! These can be short videos that answer a question or tell an amazing tip. And you can easily come up with topics for your next (or first) Facebook live from looking at your older content. 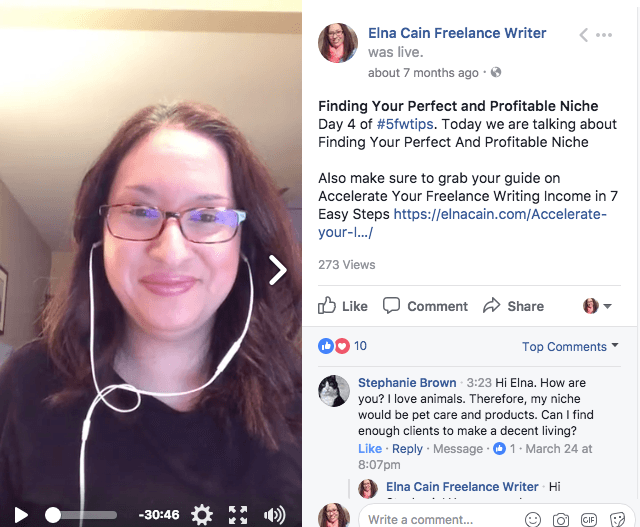 Over on my freelance writing website, Elna Cain, I took an old post of mine about finding your freelance writing niche and turned that into a Facebook Live on finding your profitable and perfect freelance writing niche. Both the post and the Facebook live talked about very similar tips. And that’s okay! Not every subscriber or reader of your blog has read all your posts. Similarly, not all of your social media followers have read all of your blog posts. If you are thinking about doing some Facebook Live videos, an easy way to get started is just to recap an old blog post of yours! Now that you have a new Facebook Live, you can do a lot of things with this new content! One way is to create a new blog post out of it. But, didn’t you just say to make a Facebook Live from an existing blog post? Yes, but you can still create a new blog post with the Facebook video and add some new tips or a new angle in your post – that wasn’t in the original blog post. For me, creating a Facebook live saves me time and coming up with the blog post is much easier as I just have to summarize the video! Monica, here at Redefining Mom, has a great example of this in her recent post What No One Tells You About Blogging and Motherhood. She took a recent Facebook Live from her group, Busy Moms Building, and repurposed it inside the blog post and also posted it on YouTube! Next time you do a Facebook live, try creating a blog post too. YouTube is the second largest search engine. When you search on Google, it’s likely you’ll get a video as a result. You can take advantage as a new blogger to get on YouTube. You don’t have to be a professional YouTuber by having intro music, a crisp video and editing tools. You can repurpose your Facebook Lives as your YouTube video (like how Monica did above). Monica also repurposes some of her course content into free YouTube videos which she uses to promote the course. Take a look at a YouTub playlist she created for her ConvertKit Masterclass. She also used the YouTube videos to create a free blog series to promote the course! Don’t you love listening to podcasts? As a busy mom blogger, I sure do! I can do laundry or fix lunch all the while getting my knowledge filled with a podcast. But, what if you’re on the other end and you’re the one hosting the podcast? Podcasts are another form of content that is increasingly popular with a lot of big and small bloggers. 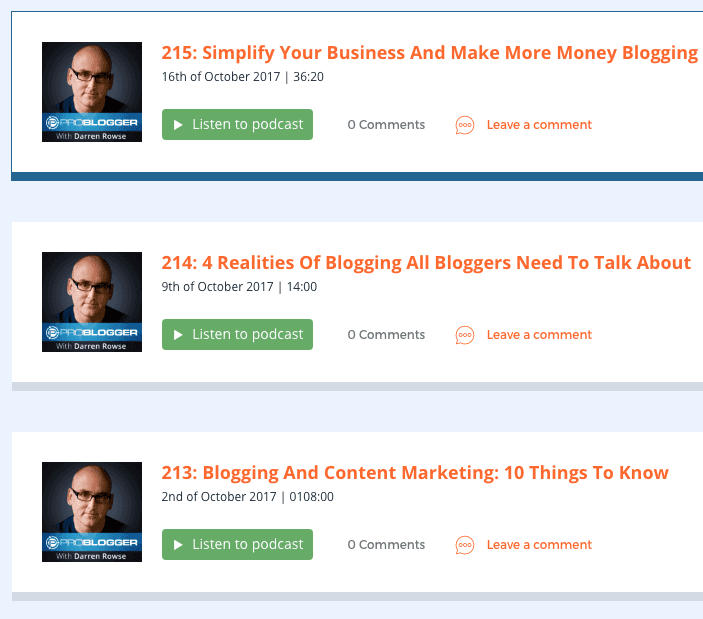 For someone like Darren Rowse of Problogger, his podcast is very valuable and full of great tips to help bloggers. But, so is his blog. I can only assume that the topics he speaks about on his podcast relate or are the same as his blog posts. If podcasting is something you are thinking about in the future, there’s no shame in using your older blog posts for podcast inspiration! Do you have an old blog post that you loved writing and you know it’s filled with great tips to help your audience, but when you published it, it didn’t make a huge splash with your audience? By updating old content, you can repurpose it as a new content in a way. Create a great social media post and hype up the new information and then link to that old post to drum up more views. Infographics are still pretty popular on Pinterest. They provide visual information in a neat list or in a streamlined way. And you can create one based on an old blog post. Take the information in that post and use that as the topics in your infographic. Then you can place that at the end of your blog post to get more shares and click-throughs back to your site when you pin it on Pinterest. If you’re new to creating an infographic, I have a video on using Canva to make an infographic for free (and quickly for us mamas!). Now that you have that beautiful infographic, you can Pin it, put it at the end of your blog post and also use it as a Facebook post. When you post your infographic on Facebook, I recommend you upload your infographic rather than use the URL from Pinterest from when you pinned it. Even though doing it this way doesn’t reveal all of the infographics, it still reveals a lot. When you repurpose content the right way – by extending one content into several different types of content – it will save you time and help you never run out of content ideas. Let me know in the comments your favorite way of repurposing your content! I’d love to hear it! Elna is a mom to twins and is the mom behind Twins Mommy. She helps moms make money with their blog by giving action tips to grow their traffic, email list, and income. 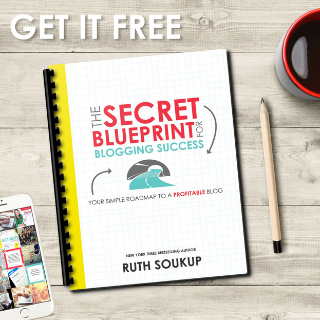 Check out her free course to start a blog, grow traffic and earn from your blog. Thanks so much Monica for this guest post opportunity. I love repurposing content as it helps me with time management for sure!